When you’re just starting out, it can be a struggle to find simple advice about where you should be advertising your business online. So how do you know where you should be advertising for your business and your demographic? When it comes down to it, there are three questions you need to ask yourself: What’s your audience? What type of product are you selling? And what are your marketing resources? 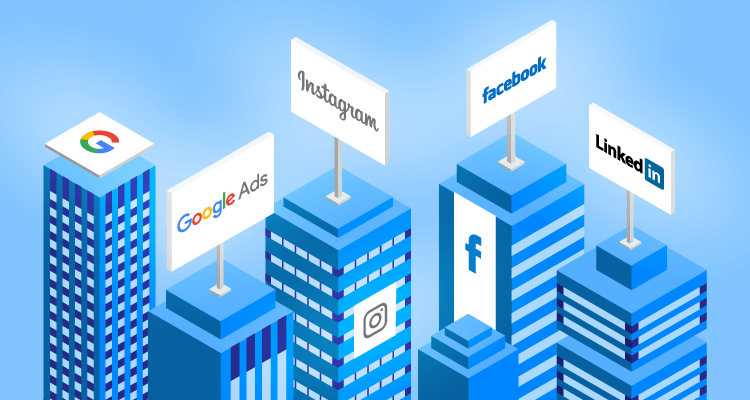 With these considerations in mind, let’s take a quick spin through four major ad platforms to see which one is right for you. 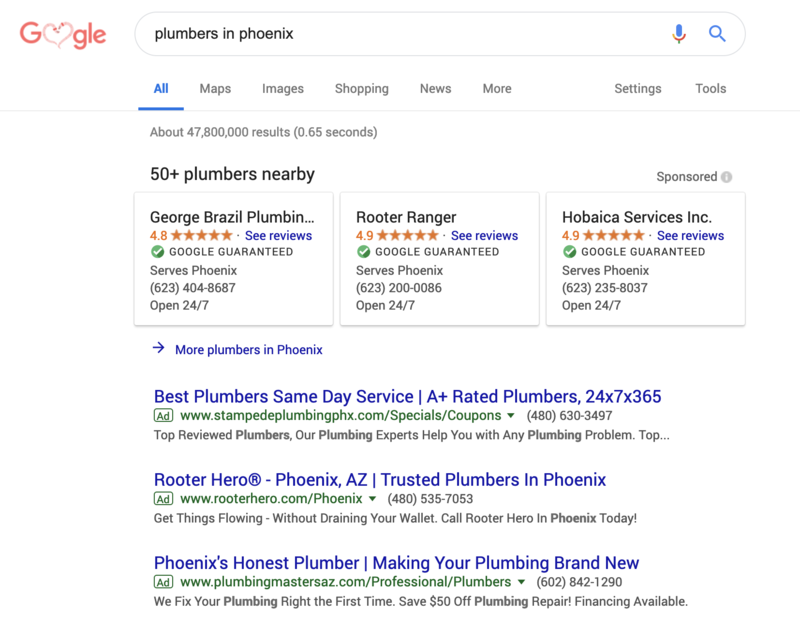 Google Ads are those pesky paid listings you probably wish didn’t appear in your Google search. You’ll typically see three to four ads at the top and bottom of the organic listings. Essentially, “everyone” uses Google. When 90% of searcher in North America, 94% in Europe, and 93% worldwide are using Google, you don’t need to worry about whether or not your demographic is represented. Google Ads is an excellent platform for when consumers are actively looking for your product or your brand. For instance, if you’re a popular retailer, like Nordstrom, or you fulfill a common need, like plumbing services, people head to Google first to search, research, validate, and then purchase. People who use Google are actively looking for something (like plumbing services). Consumers searching in Google have high purchase intent. 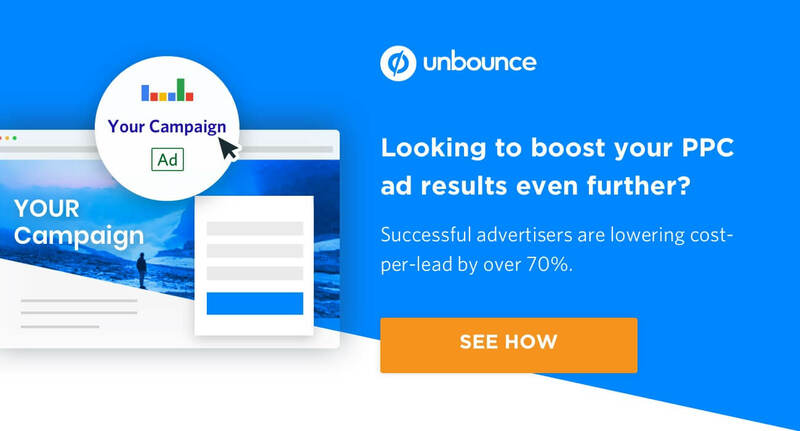 They’re either researching because they’re considering a purchase now or in the near future—or they’re in active “buy mode.” That’s why Google Ads operates at a higher cost per click: conversion rates are often higher than other social platforms. Google Ads is reasonably easy to set up if your marketing resources are limited. If you stick to the search network and avoid display and YouTube ads, you won’t need design work, videos for ads, or elaborate copywriting. The ads are short and just require some creative messaging. However, using landing pages instead of websites can increase your conversion rates dramatically and ultimately increase your ROI. EDITOR’S NOTE. Building landing pages from scratch can be a further drain on your resources. Using Unbounce’s drag-and-drop builder, you can do it yourself in an afternoon, without a developer. Once upon a time, running ads on Facebook was all the rage, but they’ve lost a little love over the last few years. (There’s still incredible opportunity in the platform, however.) You’ll see these ads about every five posts in your feed and in stories, articles, the marketplace, messenger, and other locations. 68% of Americans use Facebook. 35% of Facebook’s audience is under 25. 41% of Americans 65+ use Facebook. Facebook is excellent for all age groups. But if your product sells to people over 45, it’s the best social platform. If your product or service doesn’t enjoy strong brand awareness, Facebook is an excellent way to create exposure. Facebook allows you to introduce your product over time, build brand recognition, establish social credibility (through comments and likes), and ultimately win conversions. For example, I may have difficulty finding MasterClass if I’m searching for “how to grow my business.” But they’re able to introduce the brand to me via Facebook, knowing I’m a business owner through my profile and activity. Facebook can educate and expose people to your brand long before they’re ready to buy. People using Facebook generally don’t intend to buy while they’re on the platform. They have low purchase intent compared to someone searching on Google. As I suggested above, that creates an incredible opportunity for you to educate, introduce your brand, and be an option when they are ready to purchase. The lower cost per click on Facebook also helps offset the lower purchase intent. Facebook relies heavily on visuals and content messaging. To be successful, you’ll need compelling ad copy, sharp graphics, engaging video, and a clean, high-converting landing page. It’s relatively easy to create Facebook ads, but optimizing them for conversion requires many assets and variables (accurate audience targeting, conversion-optimized landing pages, etc.) all working in concert. Instagram doesn’t have nearly the placement options that Facebook enjoys. You can place ads in people’s feed or in their stories. However, the organic, visual nature of the platform makes it a perfect spot to highlight the beauty of your brand. 35% of Americans use Instagram. 59% of these people are under 30. 72% of teens use Instagram every day. 39% are women and 30% are men. 35% of all people on Instagram are millennials. Products that are visual or represent an aspirational lifestyle do quite well on Instagram. It’s more challenging to sell professional service or B2B products unless you’re developing extremely creative, compelling stories through video or images. In the B2B world, we typically use Instagram for re-targeting and less for first-touch. Similar to Facebook, people on Instagram don’t have high purchase intent like they do on Google. It’s difficult to convert someone to a buyer when they’re sitting on the couch catching up with their friends’ lives. However, compelling ads will drive your brand forward when the consumer is ready to buy. Also similar to Facebook, Instagram requires energy in the marketing department. 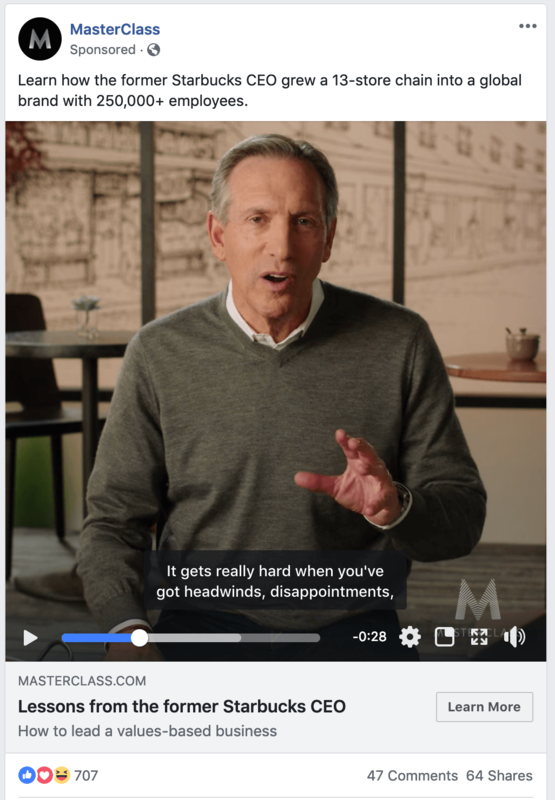 I might argue the copywriting isn’t as important as it is in Facebook ads because of the focus on visuals. However, the visuals must be on-point and compelling video is essential in stories. You’ll need some design and video support for the platform. You can see Zillow used high-quality photography in the example below. The ad also included an image slideshow with animated text to create a visually compelling experience. High-quality photos and animated text maximize visual appeal to this ad by Zillow. If your business is in the B2B space rather than B2C, LinkedIn should be your first spot for posting content and paid advertising. LinkedIn is far from dying. Microsoft bought the company in 2016 for $26.2 billion and has slowly turned the ship around while making drastic improvements to its advertising platform. In two years, LinkedIn has added 123 million members (compared to just 9 million additions on the Twitter network). 50% of Americans with a college degree use LinkedIn. 45% of users are in upper management. 87 million millennials are on LinkedIn. 80% of B2B leads are generated on LinkedIn. If you sell services or products to businesses, LinkedIn is the best place to be spending your time. CPAs, lawyers, professional service companies, and their decision makers are on the platform regularly. 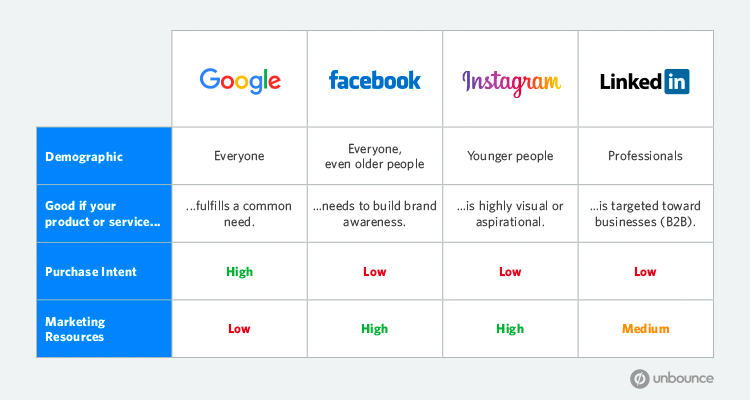 The entry-level staff that you might target in Instagram or Facebook are generally not on the platform. And when they are, it might be to look for a job, not your product. Just like Facebook and Instagram, it’s a place where you can drive awareness if people have never heard of you. Sponsored content places your product right in the newsfeed and InMail ads send messages right to their inbox. The nature of buying expensive B2B services means that the platform is used to build credibility and open a conversation. It’s unlikely someone will complete a credit card form for your $10,000 consulting services, but they may learn to trust you enough to call and open a conversation. B2B services (like CRMs) frequently use Linkedin as their primary ad platform. LinkedIn falls in the middle of the pack when it comes to visuals and marketing resources. For sponsored content, you’ll be using a nice graphic or short video to deliver your message. Since the audience is more professional, I’d lean toward something more polished than what I’d put on Facebook or Instagram. 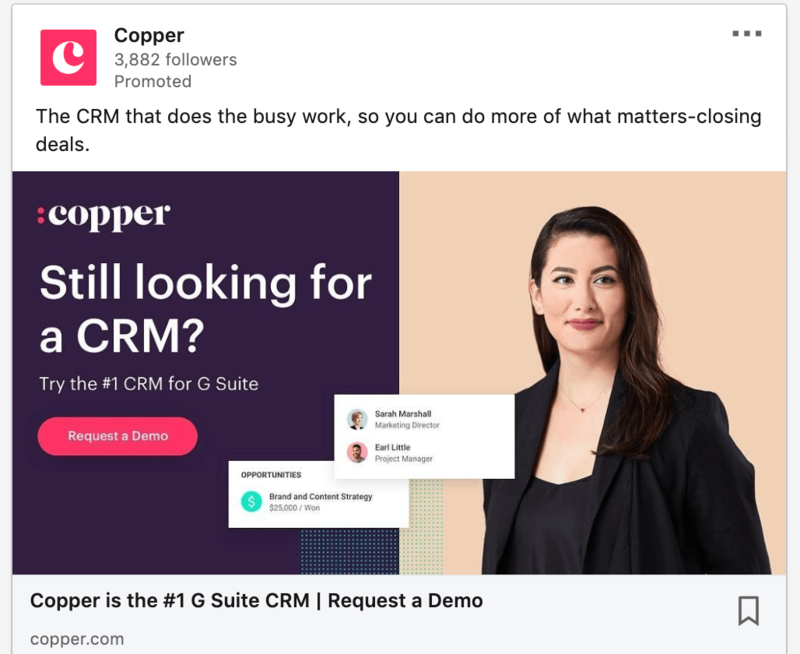 The InMail messages require strong copywriting and messaging along with an accompanying graphic, but you benefit from more leniency than a platform that’s 100% visual, like Instagram. Wanna share these insights with a friend? Click here to share this post on Twitter. As you can see, it depends on your product, audience, and marketing resources. No need to squint. Click the image above for a larger version. In sum, if your customers are actively seeking your services or product and ready to buy, Google Ads is a good starting point and doesn’t require any creative resources. Alternatively, if you are introducing your brand to your customer and have compelling creative to show off, Facebook and Instagram are a perfect start. And for B2B offerings, LinkedIn is your best bet. Though understanding the nature of each platform is important, these guidelines are just the tip of the iceberg. What platform is generating the best results for your business? Let me know in the comments below. Adam Arkfeld is Founder & President of ParaCore, a pay-per-click lead generation agency in Phoenix, AZ. Founded in 2009, ParaCore niched its focus to PPC in 2015 and has grown to manage millions in ad spend annually with a roster of clients ranging from home service companies to online retailers. In 2017, the agency spun off a sub-brand called Outdoor Adventure Marketing that services tour and activity operators throughout the world. Adam serves on the board of Entrepreneurs’ Organization and is President of Arizona’s EO Accelerator program, an organization to help entrepreneurs grow their businesses to a million dollars and beyond.